Here’s what’s happening in the world of television for Wednesday, January 23. All times are Eastern. (Syfy, 9 p.m., fourth season premiere): The Magicians began not exactly auspiciously, but with no shortage of promise, either. The ensuing seasons have, for the most part, built successfully on all that promise, leading to a standout third season peppered with excellent experiments in form. 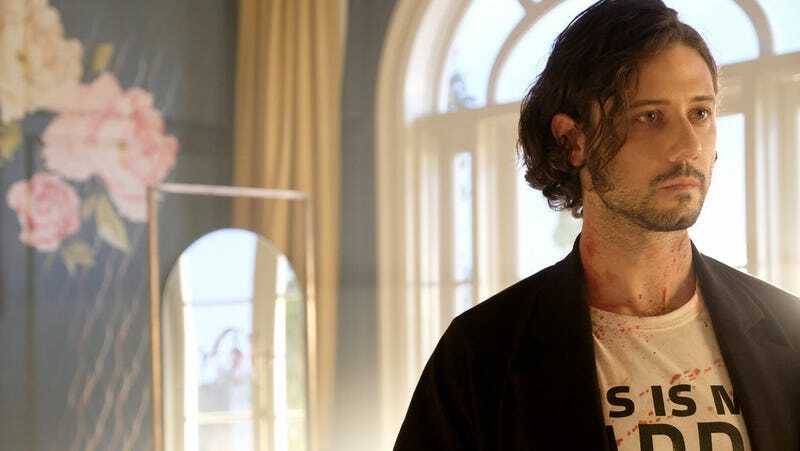 But even in the early days, before the show had quite found its footing, Hale Appleman’s Eliot was a gem, and it would seem that this season the series is giving that gem a hell of a showcase: They let the Monster take over his body. This monster would be way more Joan Crawford than [Bette] Davis. He doesn’t throw overt tantrums. For some reason, the Golden era of Hollywood was comforting for me in finding a weird speech affectation that the Monster has, which you might not necessarily pick up on and you certainly wouldn’t be like, “Ooo! He’s doing Audrey Hepburn at Breakfast At Tiffany’s.” But there’s a way that he lands on his consonants when he speaks that is not quite naturalistic… I always love a Norman Bates inspiration, too, which isn’t to say I was doing a Norman Bates impression, either. Come on, that is excellent. Lisa Weidenfeld will drop in on the premiere to hear his every gentle plosive and celebrate its fifth-season renewal. Branded “outlaws” for generations, unprecedented demand for their backwoods spirits and increased law enforcement is suddenly making it harder than ever for these masters of distilling to practice their craft in the shadows and the very culture these moonshiners stand for is on the line. Facing threats from big corporations trying to take over the market for “craft spirits” with cheap factory-made liquor, the moonshiners will use secrets from past moonshine masters, resourceful frontier engineering, and backwoods antics to keep the traditional recipes and techniques of artisanal heritage whiskey alive in the remote corners of Appalachia. Backwoods antics! It is cold, snowy, and miserable here in Chicago. Backwoods antics sound like just the thing.